Discovering the history, meaning, lore, and beauty of gemstones and jeweled creations. This palette has a lot in common with the autumn one, which is no surprise, since people don't want to have to buy all new clothes and completely repaint the interiors of their houses in order to feel "in sync" with the world. The major difference seems to be that these are turned up a notch - a little brighter for the light colors, and a little darker for the contrasting colors. It all seems to be more enriched compared to the cooler seasons behind us. Again, not a surprise, since people want to add a little punch to their environment and dress this time of year. I particularly like the purples, pinks, and sage green colors in this group. Certain hues of amethyst, rose quartz, peridot, and turquoise will match perfectly. So will smoky quartz, picture jasper, yellow jade, and the deeper side of both lapis lazuli and sodalite. A great selection of fun stones to work with! 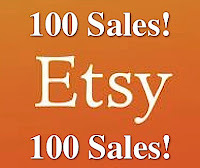 Lunar Blue Designs had its 100th online sale on Etsy March 21! While our total sales passed 100 quite some time ago, this is specifically a celebration of our online sales, and reaching our first goal of 100. Thank you to everyone who has supported our business and growth - customers, fellow jewelry artists, local crafters, our financial supporters, blog/twitter/facebook followers and so many others! We will continue to present our pieces at craft and art shows, and have plans to appear as vendors at conventions and develop workshops, as well. We also hope to have more personal events, like our home jewelry galas. These have been a source of a lot of fun and success for us, and those who attend really appreciate the personal service (as well as the free refreshments and informative presentations). 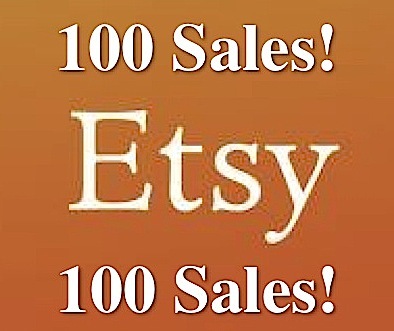 Still, our online store remains the cornerstone of our business, and to have our 100th sale there brings us great joy! If you would like to support us, but can't make a purchase at this time, remember we LOVE to have followers for our social sites, like this blog, twitter, facebook, and more. We also have a newsletter (see bar at right) that you can sign up to receive for free, that contains interesting tidbits of gemstone information as well as coupons and discounts. December's birthstones, turquoise and blue topaz, each possess their own shade of light blue to honor either the northern hemisphere's deep winter ice, or the southern hemisphere's bright summer skies. Topaz is mined from locations that span the globe. Naturally occurring blue topaz is very rare. While topaz can exists in a wide variety of colors, it is mostly found in a range of browns, oranges, reds, and yellows. Most blue topaz gems on the market are formed by irradiating topaz in a laboratory to create the desired blue color. However, some natural topaz of a very light blue hue is cut and drilled for beaded jewelry. It's hardness of 8 on the Mohs scale means it is a durable stone, and so suitable for a variety of jewelry designs. The stone is symbolic of creativity, individuality, and self confidence. The characteristic blue shades of turquoise are formed by the presence of copper in the mineral. While the turquoise mineral can be found in hues that include greens and yellows, it is the blue-aqua shade that has the most value. 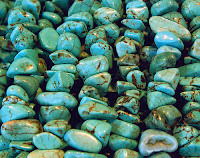 Gem quality turquoise is found in a few specific locations on Earth, and such material commands a good price. Imitation turquoise is becoming very common, but does not usually have the same richness as the original. This mineral can range in hardness from 5-7 on the Mohs scale, which means some of the softer varieties need special care. Pieces can shatter if dropped or mishandled. 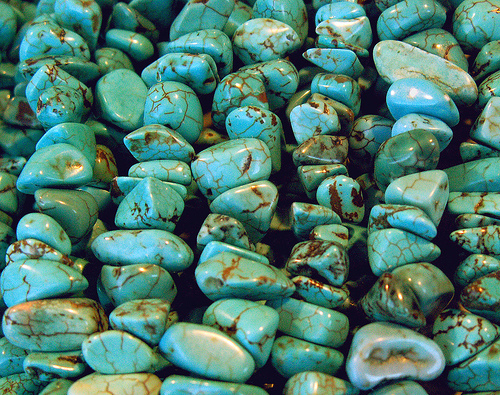 Turquoise is said to bring the wearer protection, friendship, and peace. There are those who believe that pairing the stone with copper metal helps to increase the beneficial effects. Certainly both copper and silver match beautifully with turquoise in beaded jewelry. Choose your own preferred shade of light blue for your jewelry expressions this month, and feel in tune with the season! Click a Pic for Details! Rocks and their stories fascinate me. I weave those stories into jewelry that is both beautiful and meaningful for the wearer. Welcome! We are Lunar Blue Designs, a small, women-owned and operated business that sells one-of-a-kind, high quality gemstone jewelry and accessories. We blog about aspects of the business, the art of design, and the amazing nature of gemstones. Visit our Etsy store to see our current listings up close and personal: http://www.lunarbluedesigns.etsy.com. Thanks for visiting!